I recently completed an exercise gathering data from my three "atomic" frequency standards. 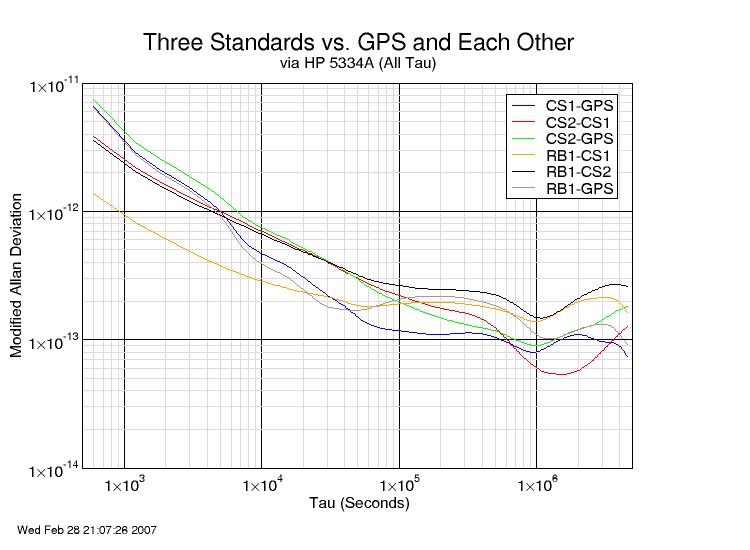 I compared their stability against GPS, and against each other. I gathered data for 212 days (about seven months). 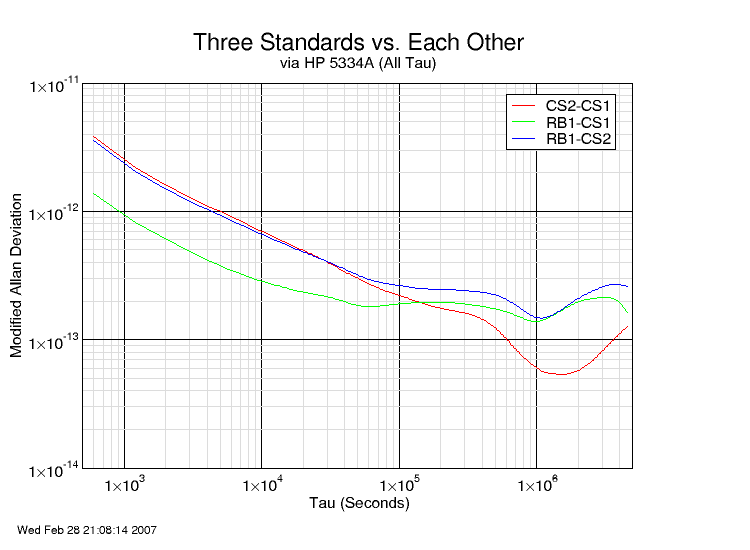 CS1 is a fairly late model HP 5061A Cesium standard, with an FTS replacement physics package. It is running in "long time constant" mode which increases short term stability. CS2 is a significantly older HP 5061A, also with an FTS replacement tube. It runs in the normal short time constant mode. RB1 is a very late model HP 5065A Rubidium frequency standard. 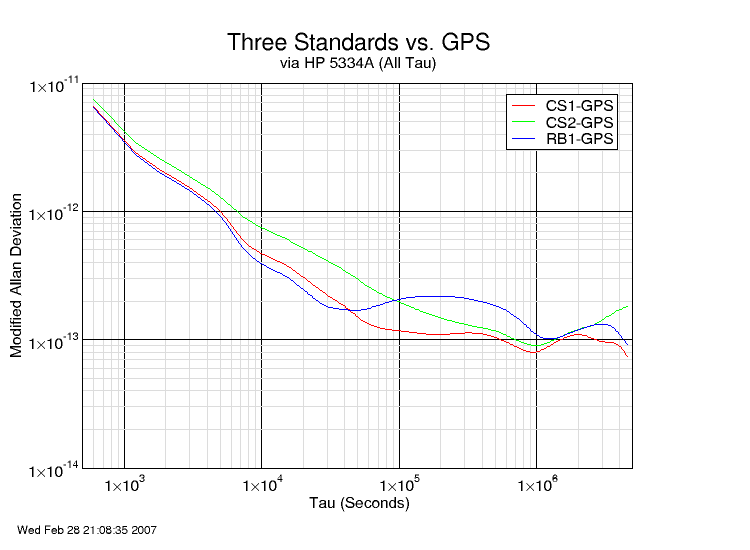 The GPS used for comparison is a Motorola M12+ timing receiver.